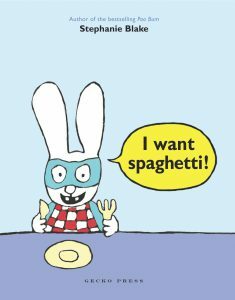 What a hilarious, gorgeous translation by Karena Kelly of this popular Gecko Press publication. 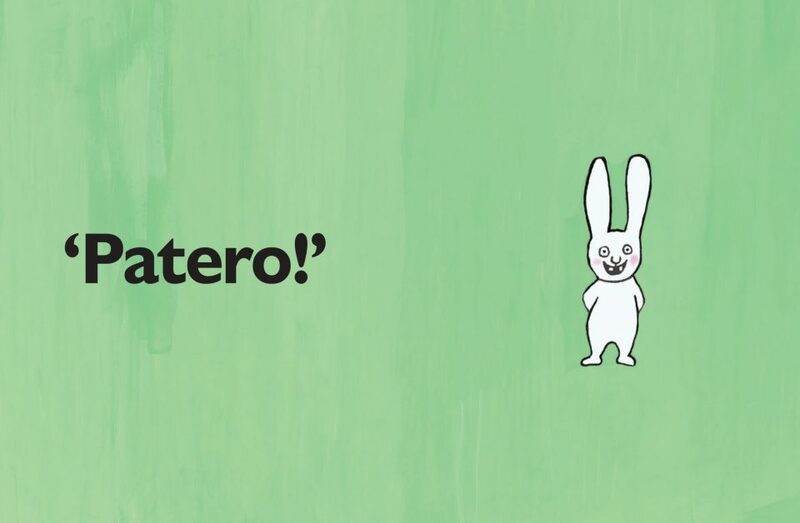 Gecko Press’s cheekiest rabbit is now in te reo Māori! This book shows how much fun language can be. It will draw in the most book-shy child who will enjoy laughing at a parent or teacher saying ‘taboo’ words. The bold illustrations use blocks of colour and black lines to continue the absurdity – who has ever seen a green wolf or a rabbit in a suit?! What a hilarious, gorgeous translation by Karena Kelly of this popular Gecko Press publication. 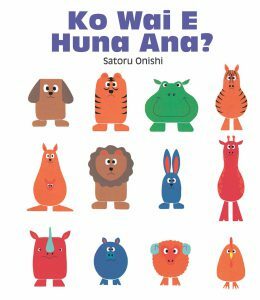 This is a really fun book that is easy to read and understand and is perfect for beginner te reo speakers and very young children. 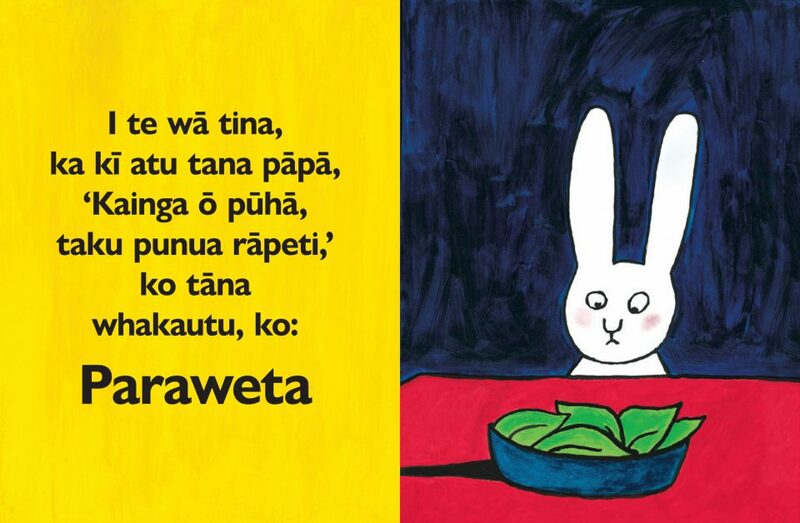 Even if I trip up on a word here and there I’ve found that as long as I’m doing the silly voices and engaging with the story, my son is pretty happy to have a te reo Māori story at bedtime, in fact… Paraweta is his new favourite. 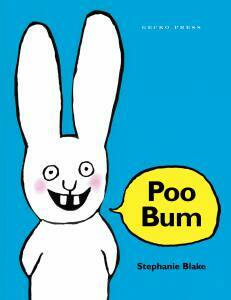 Simon is the same little rabbit we have grown to know and love but this time we are lucky to have a Maori language edition of Poo Bum. He is still cheeky and just a little bit naughty but still hugely popular. 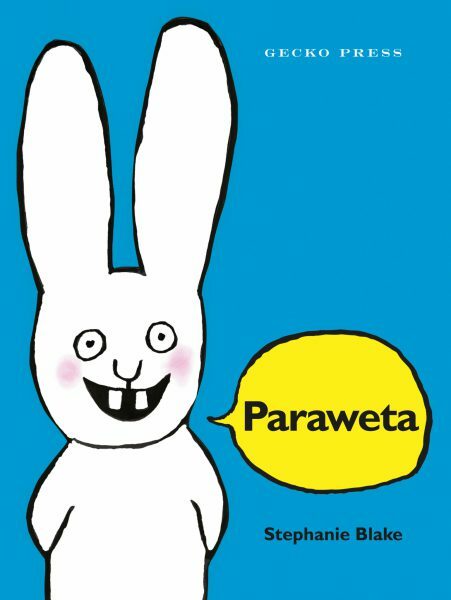 I just know this edition will be a hit for our Te Reo readers. I am delighted that it has been translated into Maori to allow young and old readers of Maori to enjoy the experience of this book. 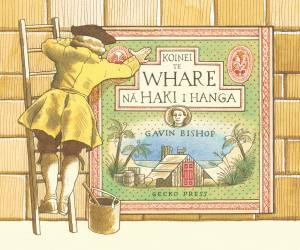 The illustrations and story are identical to the original French book and will hopefully strike a chord with Maori language readers.